Moto2 rider Francesco Bagnaia has been the second rider confirmed on the grid for the 2019 MotoGP season, after official confirmation from the Pramac Ducati squad that he will join them for next season. Speculated at for some weeks and partially confirmed when current rider Danilo Petrucci confirmed that he was looking to move away from the squad to a factory ride of his own, the news was confirmed by both Pramac Racing and Valentino Rossi’s own Team Sky, who Bagnaia will contest the 2018 Moto2 season for. The news comes as no surprise, with the young Italian tipped as a premier class rider ever since making his MotoGP debut at the end of the 2016 season, surprising at the Valencia test with fast laps when given a brief chance on the Aspar Ducati as a thank you for a strong season in Moto3 with the team. It’ll also make him the second of Valentino Rossi’s academy program to make it to the premier class, with reigning Moto2 champion Franco Morbidelli lining up for the Marc VDS Honda as a rookie this year. 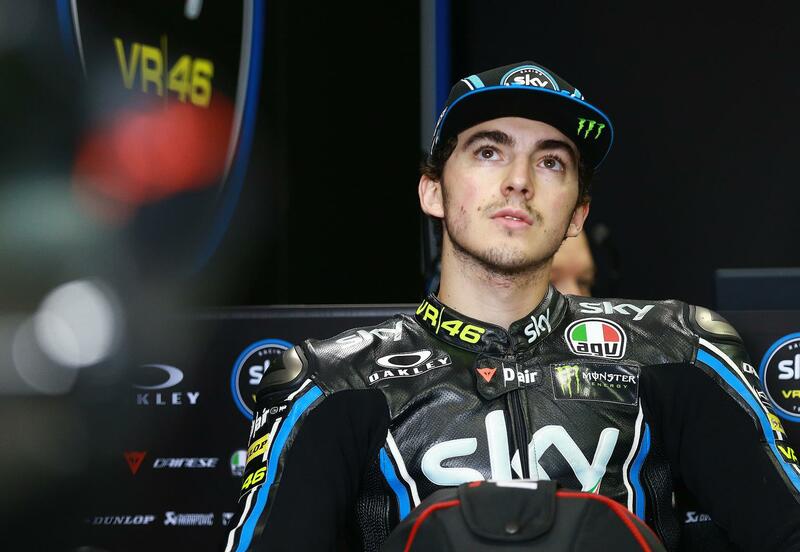 However, it remains to be seen what machinery Bagnaia will receive. The Pramac squad currently receive one current factory spec machine thanks to Petrucci’s contract directly with Bologna, but it’s unclear if this will be extended to Bagnaia or likely teammate (and current team rider) Jack Miller.